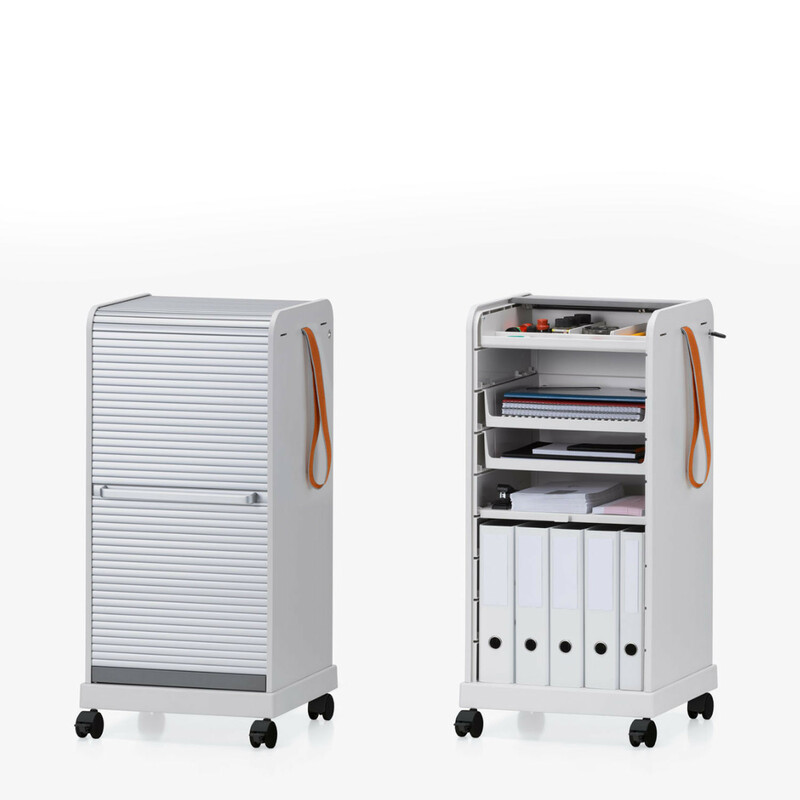 Follow Me Mobile Pedestals are durable, secure personal storage units ideal for use in agile office environments or the home. Follow Me comes with a handy pull strap, making it easy to manoeuvre your personal mobile pedestal from place to place. Follow Me mobile pedestals consist of two options; Follow Me 1 which is an under desk mobile pedestal at a height of 620mm or Follow Me 2 a tall pedestal unit. 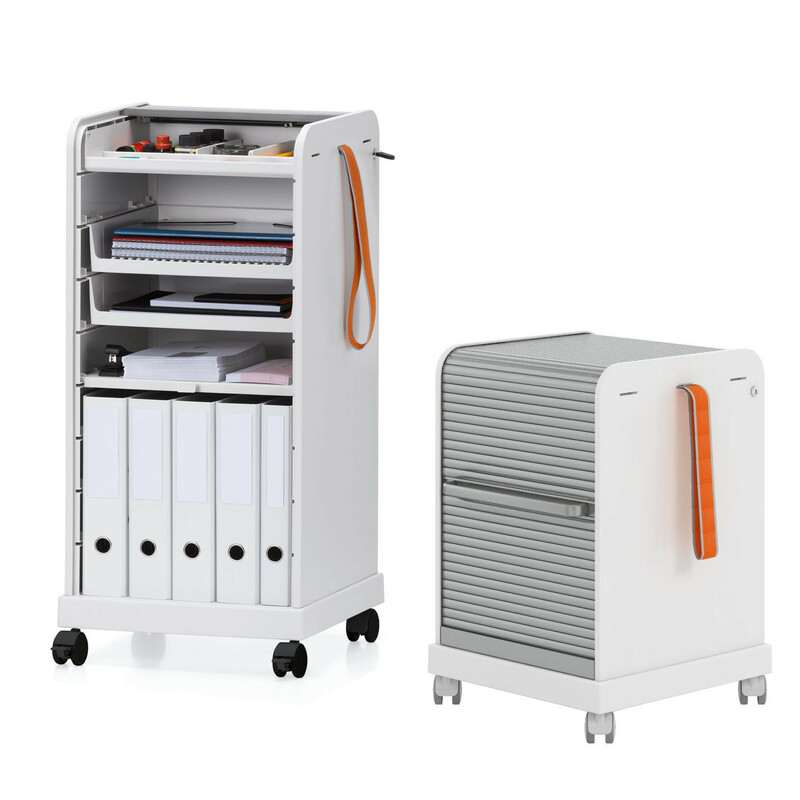 Both models have shelf spaces for ring binders and an integrated storage compartment with removable trays for papers and personal belongings can be hidden behind the mobile pedestal's tambour shutter. 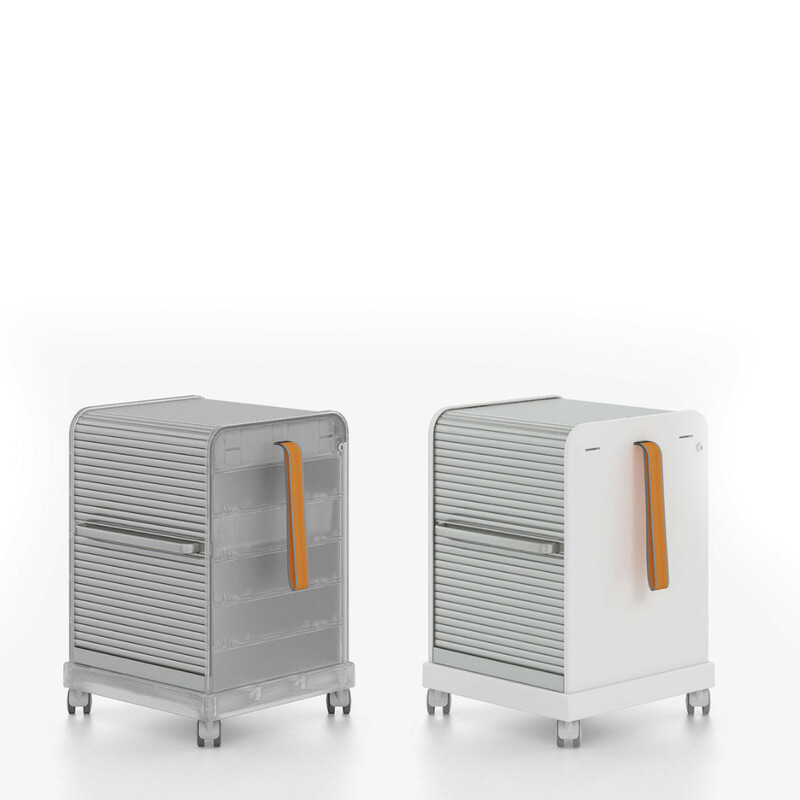 Both Follow Me Pedestal models can be individually configured with optional drawers and shelves. The higher Follow Me 2 version makes an ideal companion for standing-height tables. You are requesting a price for the "Follow Me Mobile Pedestals"
To create a new project and add "Follow Me Mobile Pedestals" to it please click the button below. To add "Follow Me Mobile Pedestals" to an existing project please select below.